Service Level Agreements (SLAs) are a vital instrument in service-oriented architectures to reserve service capacity at a defined service quality level. Provisioning systems enable service managers to automatically configure resources such as servers, storage, and routers based on a configuration specification. Hence, agreement provisioning is a vital step in managing the life-cycle of agreement-driven services. 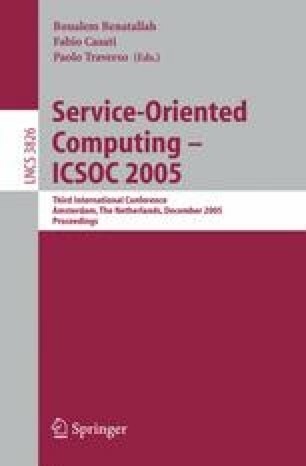 Deriving detailed resource quantities from arbitrary SLA specifications is a difficult task and requires detailed models of algorithmic behavior of service implementations and capacity of a – potentially heterogeneous – resource environment, which are typically not available today. However, if we look at, e.g., data centers today, system administrators often know the quality-of-service properties of known system configurations and modifications thereof and can write the corresponding provisioning specifications. This paper proposes an approach that leverages the knowledge of existing data center configurations, defines templates of provisioning specifications, and rules on how to fill these templates based on a SLA specification. The approach is agnostic to the specific SLA language and provisioning specification format used, if based on XML.